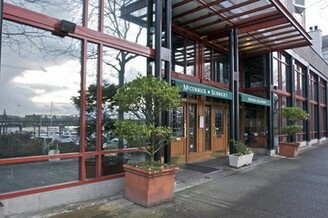 For more than a month last summer, the general manager of McCormick & Schmick’s Harborside restaurant asked a pest control company to spray for spiders. When the company didn’t come out, the manager took it upon himself to clear out spider webs from the restaurant and outdoor dining area along the Riverplace Marina. In the process, he was bitten by what he believed was a venomous brown recluse spider. While the lawsuit states that it was a brown recluse spider that bit Clement and other Oregonians have claimed they were attacked by the species, experts say Oregon doesn’t have that type of spider here. Next Next post: Your Next Vacation… You Better Belize It.